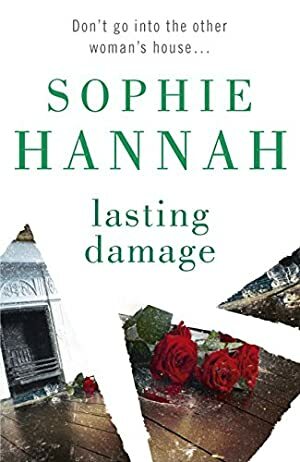 The unnervingly good sixth psychological thriller from bestselling crime writer Sophie Hannah, not to be missed for readers of Clare Mackintosh and Paula Hawkins. It's 1.15 a.m. Connie Bowskill should be asleep. Instead, she's logging on to a property website in search of a particular house: 11 Bentley Grove, Cambridge. She knows it's for sale; she saw the estate agent's board in the front garden less than six hours ago. Log In to track Sophie Hannah on eReaderIQ. to be notified each time the price drops on any book by Sophie Hannah. to stop tracking Sophie Hannah. We started tracking this book on February 26, 2011. This book was £6.99 when we started tracking it. The price of this book has changed 17 times in the past 2,980 days. The current price of this book is £0.99 last checked 10 hours ago. The lowest price to date was £0.99 last reached on April 13, 2019. The highest price to date was £6.99 last reached on February 26, 2011. This book has been £6.99 one time since we started tracking it. We last verified the price of this book about 10 hours ago. At that time, the price was £0.99. This price is subject to change. The price displayed on the Amazon.co.uk website at the time of purchase is the price you will pay for this book. Please confirm the price before making any purchases.